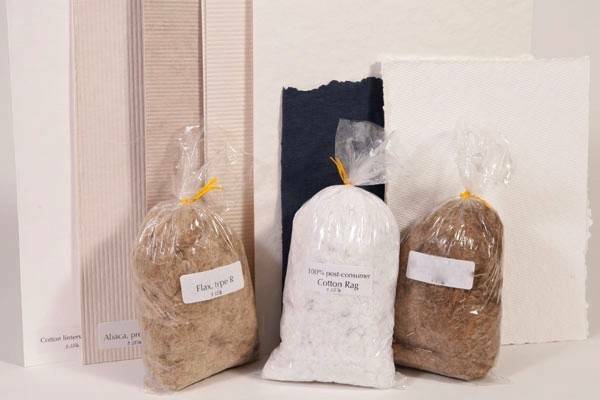 The set consists of 1/4 pound labelled samples of all of our pulps and fibers. You will receive samples of our 9 pulps in sheet form as well as 1/4 pound bags of our 4 fibers. Total weight is 3 1/2 pounds. There is enough material provided in the pulp samples for you to make over 100 small sheets of paper. Alternatively, you may prefer to keep them intact as pulp samples for reference purposes. We highly recommend this set of sample pulps & fibers for all paper studios and teaching facilities.